Get ready for some out of this world fun! 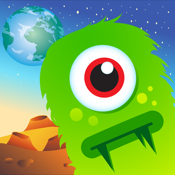 Create Aliens From Mars HD lets you mix and match 35 different items to create 100's of different wacky alien combinations! When you're finished creating your alien, take a snapshot and share it with your friends and family. - To remove an item, simply drag it onto the red X at the bottom right of the screen.